Nazarenas Suite, Palacio Nazrenas, Cuzco, Peru. Our Royal Class, with deluxe suites, is the highest level of luxury and is unique to Inka's Empire Tours. You will stay in the best accommodation in Orient-Express hotels: a Presidential Suite in Lima's Miraflores Park, overlooking the Pacific Ocean; a Royal Suite in Cuzco's Monasterio, a four-hundred-year-old monastery, a De Luxe Grande Suite in the Palacio Nazarenas, a former palace and convent, or a Plaza Suite in La Casona, a colonial manor house; the Villa Capuli in the Sacred Valley's Rio Sagrado, on the banks of the Incas' holy river; and a Presidential Suite in Machu Picchu's Sanctuary Lodge, the only hotel next to the ruins. 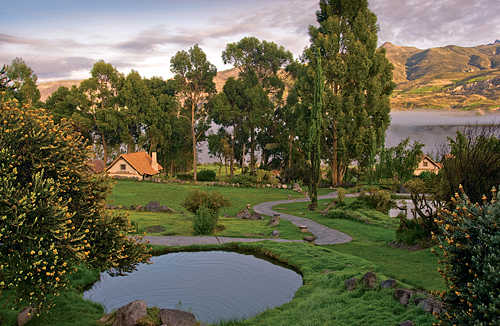 Where Orient-Express hotels do not exist, we have chosen other unique accommodations: a Corner Suite in Lake Titicaca's Titilaka, on a private peninsula; the Imperial Suite in Arequipa's Casa Andina Private Collection, in the historic Mint House; the Presidential Casita in the Colca Valley's Las Casitas del Colca, the height of country luxury; a Plunge Pool Suite in the Hotel Paracas, overlooking the Pacific Ocean; and a Suite in Quito's palatial Casa Gangotena. 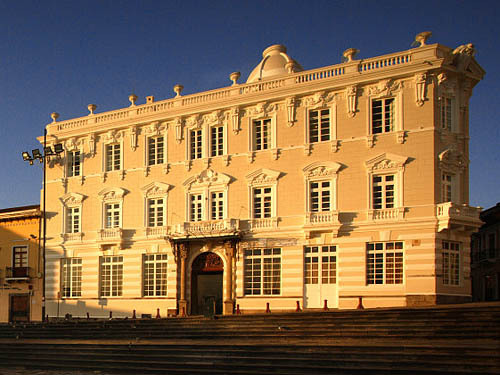 If traveling in the Andes of Ecuador, you will even stay in an Inca palace. The Hiram Bingham was a pure delight! We felt like we were traveling in the 1920s! 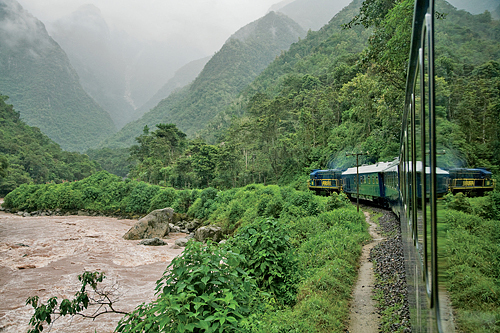 In our Royal Class, you will travel to Machu Picchu in 1920s' style aboard the luxurious Hiram Bingham Orient-Express. This rail excursion requires a late afternoon return from the Sacred Valley to Cuzco, dinner in the Restaurante El Tupay and an overnight stay in a Royal Suite in the Orient-Express Monasterio. In the morning, you will board the train and depart for the "Lost City of the Incas". From Cuzco, the Hiram Bingham carries passengers on a spectacular journey through changing landscapes, passing lush fields, colorful villages and wonderful vistas of the snow-covered Andes. Departing from the Poroy Station (20 minutes from the center of Cuzco) at 9 am, the Hiram Bingham gives a more leisurely start to the day than traditional departures. Brunch is served on board and your private guide is present to explain points of interest en route as well as in the ruins of Machu Picchu. Afternoon tea, an "a la carte" dinner, breakfast and lunch are served in the Orient-Express Sanctuary Lodge, located just steps from the ancient citadel. Once back on board for the 6:30 pm departure the next day, pre-dinner cocktails are served, accompanied by live entertainment, and a 4-course, a la carte dinner. Presidential Suite, Miraflores Park, Lima, Peru. Miraflores Park Hotel... wonderful, very large room, beautiful ocean view (and, yes, we saw it everyday very clearly), plenty of space for your clothes, lots of reading light and a large bathroom with a great tub and large shower. Plenty of thick towels, and linens seemed fine. Breakfast is on the top floor, and when the elevator opens up you see a gorgeous swimming pool, ocean and sky... breakfast was good, they will make you whatever you want in addition to the buffet... The service in the hotel is A+. They couldn't have been more accommodating... especially on our return July 23/24. We drove them crazy with our flight changes and they more than handled everything with kindness and competency... they even opened the business center at 3 am to help us out... Box dinner for plane delicious chicken sandwich... only had lunch in the Poissonniere Restaurant, and we barely ate due to the change in flight, but what we did eat was very, very good and the service perfect, lovely maitre d' who recommended his favorites... just delightful... as you can tell, it is most certainly 5 stars. Rooftop pool, Miraflores Park, Lima, Peru. Frommer's Review: "The exceedingly elegant Miraflores Park Hotel bathes business executives and upscale tourists in unsurpassed luxury. It hugs the malecón, the park-lined avenue that traces the Lima coastline. From the cozy, library-like lobby and handsome restaurant to the tastefully appointed, plush rooms (including marble and granite bathrooms most New Yorkers would give their left arms to have), the hotel is a distinguished address from head to foot. All rooms are suites with comfortable king-size beds and sitting areas. Many rooms have ocean views -- at least for the few days of the year when you can see the coast in Lima." No further upgrades are available. Rio Sagrado, Sacred Valley, Peru. Review: Rio Sagrado is new and has not yet been reviewed. 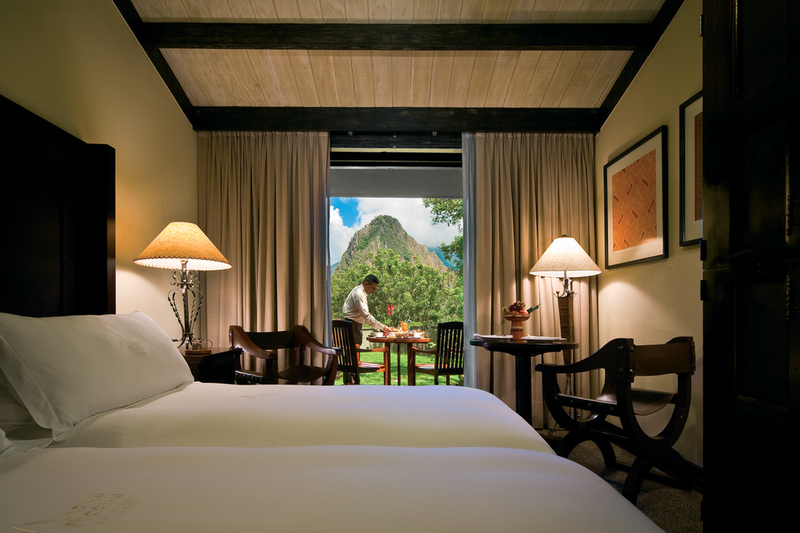 Mountain View Room with Terrace, Sanctuary Lodge, Machu Picchu, Peru. We loved everything about the Sanctuary Lodge. The rooms are beautifully appointed, the showers were perfect and the food was excellent. It was worth every penny. Frommer's Review: "Back in the 1970s, the Peruvian government built a temporary hotel on the top of the mountain just steps from the entry to Machu Picchu as a way to show off the ruins to international movers and shakers. As the ruins grew in popularity as a destination, the hotel was rewarded with a begrudged permanence. Today the hotel stands as the only major alteration to the ruins' isolated setting, but as hotels go, it is pretty sensitively inserted into the hill and is not visible from the ruins themselves. Formerly a rather plain but overpriced modern hotel, the rustic inn was taken over by Orient-Express Hotels (which also manages the Hotel Monasterio in Cusco) and transformed into a very pricey luxury lodge, now with a full meal plan program for guests. Without question, it has one of the most dramatic and unique settings in the world, and, as the only hotel perched right next to the ruins, it can pretty much charge what it wants (and does). Guests need very deep pockets to stay here; despite the cost, the hotel remains in high demand most of the year, so advance reservations are absolutely essential. Rooms are not especially large, but they now have a good deal of Peruvian character, with some lovely modern furnishings, and most have small terraces that open to lovely gardens with impressive views of the ruins and the surrounding Andes." Royal Suite, Monasterio, Cuzco, Peru. I thought the Hotel Monasterio was wonderful and would not have wanted to stay anywhere else. 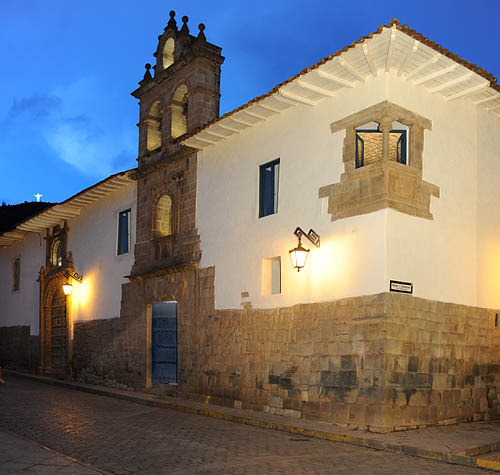 Frommer's Review: "Peru's most extraordinary place to stay, this beautiful hotel occupies the San Antonio Abad monastery, constructed in 1592 on the foundations of an Inca palace. An Orient-Express and Leading Small Hotels of the World property, the Hotel Monasterio -- converted into a hotel in 1995 -- exudes grace and luxury. As much a museum as a hotel, it has its own opulent gilded chapel and 18th-century Escuela Cusqueña art collection. Located on quiet Las Nazarenas square between the bohemian San Blas district and the main square, the hotel makes fine use of several courtyards with stone arches; one is set up for lunch outdoors, about as beautiful a setting as is to be found in Cusco. Rooms are impeccably decorated in both colonial and modern styles, with large Cusqueña School paintings; the accommodations off the first courtyard are more traditionally designed and feel more authentic. 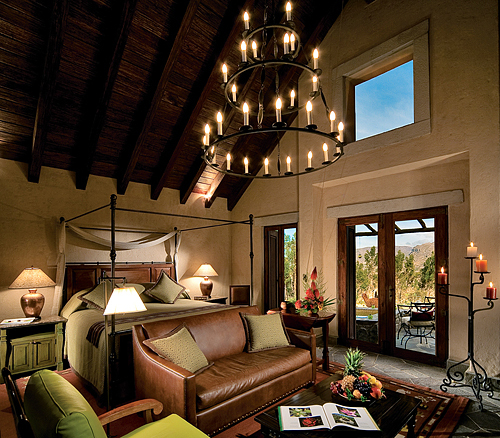 For a special treat, consider one of the two-story junior suites. One restaurant, Tupay, is housed in the original vaulted refectory of the monastery; early risers, many on their way to Machu Picchu, can enjoy a terrific breakfast buffet as they're serenaded by Gregorian chants. 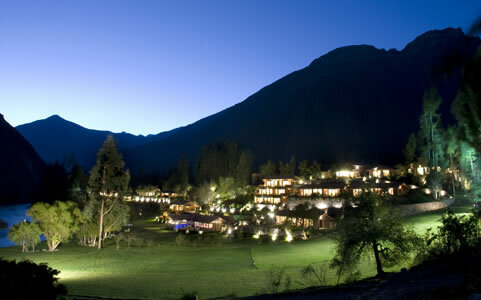 The elegant dinner restaurant Illary is the finest in Cusco." Set in a tranquil plaza behind Cuzco's main square, this former palace and convent is emerging from years of restoration to become one of the city's most exclusive hotels. 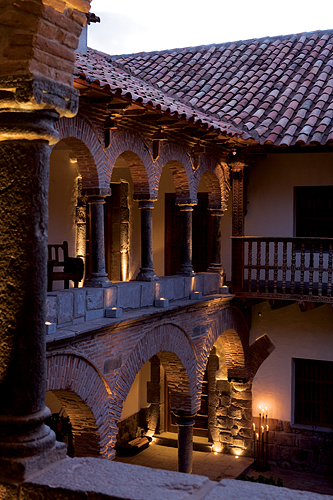 Step past walls of Inca stones and into a cloistered courtyard with an ancient fountain at its heart. Then be surprised as contemporary Cuzco comes to the fore: a fabulous spa, the city's first outdoor pool and stylish restaurants serving cutting-edge local cuisine. This intimate urban retreat has just 55 suites, each enriched with oxygen and with its own private bar where guests (or their private butler) can create drinks accented with fresh ingredients grown at and around the hotel. An upgrade is available to a Master Suite. Condé Nast Traveller: "This sprightly newcomer might well steal the spotlight from the Hotel Monasterio, long the top luxury option in Macchu Picchu's gateway town. Cusco's architectural heritage of Incan stone walls topped with colonial white stucco is echoed in this sixteenth-century building on a square steps from the main plaza. With just 11 suites, La Casona has the intimacy of a private home, and the building's colonial charms come with smart modern touches such as iPod speakers. Inside, a grassy courtyard is surrounded by rooms on two levels. Owners Denise and Joe Koechlin have fussed over every antique- and craft-strewn square foot of the place, and exquisite pillars, retablos, and benches have been sourced from all over Peru. The excellent restaurant -- don't leave without trying the quinoa pancakes -- offers a good deal of Andean hospitality." Photo: The Andean Experience Co..
You asked me to "rate" Titilaka. By vote, the favorite of the entire family. Accommodations, views, meals, professional staff, all a 6-star rating. The decor is a fusion of crafts, antiques and modern art. Absolutely unbelievable. Each staff member acted and talked as if it was his or her hotel, taking ownership and pride, responsibility and guest comfort to a new level. The experience was relaxed elegance at its finest. I wouldn't book another guest at any other hotel near the lake. Condé Nast Traveller UK: "This astonishing new hotel stands on the south-western shores of Lake Titicaca, cutting a crisp silhouette of sharp corners, with stark colours and daunting brick walls. But slip inside and everything bursts into life, with the bright stripes of hand-woven textiles, shabby-chic colonial antiques and roaring fires. All 18 rooms have big-sky views of the lake and snowy peaks beyond. Kayaking, mountain-biking and swimming are on offer, but best of all is a visit to timeless Taquile island, where residents still rely on farming and weaving. After a brisk day out, the hotel is extremely welcoming (there are even gulps of oxygen for anyone needing a boost). Meals are home-grown: quinoa chowder, alpaca brochettes and native-potato croquettes stuffed with Andean cheese. 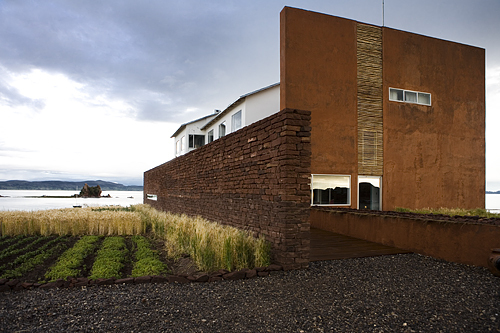 An indoor pool and spa will open later this year, providing indigenous treatments using Titicaca sand, aloe and coca." Imperial Suite, Casa Andina Private Collection Arequipa, Arequipa, Peru. but with the same sort of service and wonderful food. 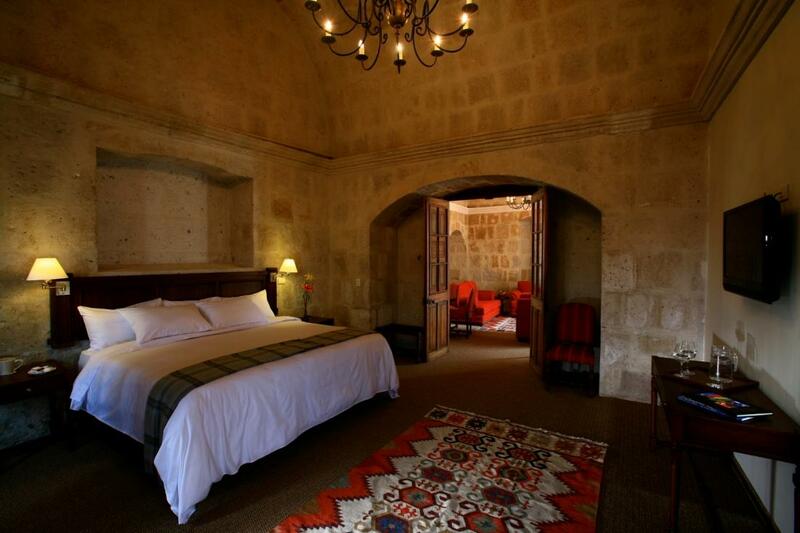 Frommer's Review: "Inaugurated in March 2008, this upscale midsize hotel, in one of Arequipa's emblematic colonial buildings, the storied Mint House -- a national historic monument -- is a terrific new addition to the city's few true luxury options. Just 3 blocks from the Plaza de Armas, around the corner from the Santa Catalina convent, it's ideally located. It features beautiful sillar walls, two lovely interior courtyards, an elegant gourmet restaurant, and even a small on-site museum depicting the minting of old coins. Accommodations in the modern wing are elegantly understated and spacious, with nice bathrooms, while the sprawling suites in the historic main house are downright sumptuous. Intimate, with a boutique feel but all the services of a larger luxury hotel, and prices that, while not inexpensive, seem merited, it has immediately become Arequipa's top place to stay, and one of the finest hotels in Peru." Las Casitas del Colca, Colca Valley, Peru. Suite, Las Casitas del Colca, Colca Valley, Peru. Frommer's Review: "Las Casitas del Colca, part of the upscale Orient-Express chain that owns the Hotel Monasterio in Cusco and Machu Picchu Sanctuary Lodge, is easily the most exclusive inn in the valley. Now all-inclusive and the height of country luxury, it has undergone a stunning transformation in recent years. Its extraordinary new casitas, or individual thatched-roof bungalows, opened in early 2008. Elegantly decorated and nestled about the property, the 20 casitas have private terraces and plunge pools. Also new for 2008 are a handsome spa and free-form swimming pool. The entire operation oozes rustic charm, sophistication, and intimacy. It's the kind of place where César, the general manager, greets you at the door and addresses you by name, and where you'll find your bed turned down at night with strategically placed hot-water bottles and candles blazing. Perched on the lip of the canyon, the ecolodge features solar energy and electricity, a breakfast terrace with gorgeous valley views of extensive gardens, terraced fields, and the river. The kitchen turns out wonderfully fresh dinner and excellent breakfasts using ingredients from the garden, and the lodge also offers horseback riding." 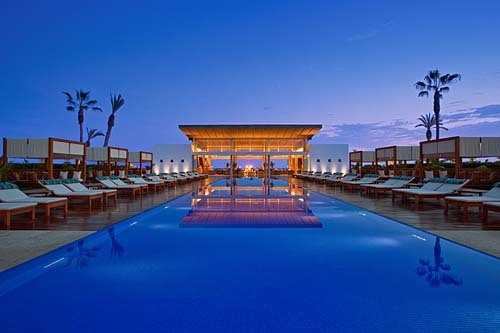 Photo: Libertador Hotels, Resorts & Spas. Frommer's Review: "The only hotel that lives up to the official billing of a resort within the nature reserve, this is a large Mediterranean-style hotel on the bay and one of the best places to stay in the region. Airy and beachy, it has great views of the water. Rooms, furnished with bamboo appointments, have either bay or garden views, and all have small terraces." Travel+Leisure Review: "We’d like to think that if sisters Mimi and Gloria Gangotena, the former residents of this mansion on Quito’s Plaza San Francisco, returned to their grand, early-20th-century manse, they’d feel as if their house had been reborn. The property’s 31 bedrooms, with 12-foot ceilings embellished with Art Nouveau molded tiles and decorative plasterwork friezes, have been painstakingly restored. Now they have beds topped by goose-feather duvets, and all have exquisite Statuarietto marble bathrooms (the 1926 residence had just one)."